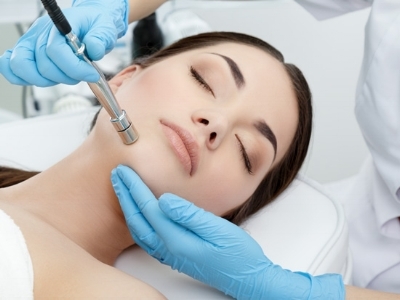 Microdermabrasion is one of the easiest and most effective anti-aging treatments you can get. Its benefits are many: microdermabrasion softens fine lines and wrinkles, helps to smooth coarsely textured skin, decreases the appearance of scarring, decreases pore size, and reduces superficial hyper-pigmentation, also known as age spots. Microdermabrasion also makes it easier for skin care products to penetrate into the deeper layers of the skin and help build collagen, which gives skin its youthful appearance. This particular procedure can only be received through a physician's office, and is far superior to salon-grade equipment. This service works best when given in a series.